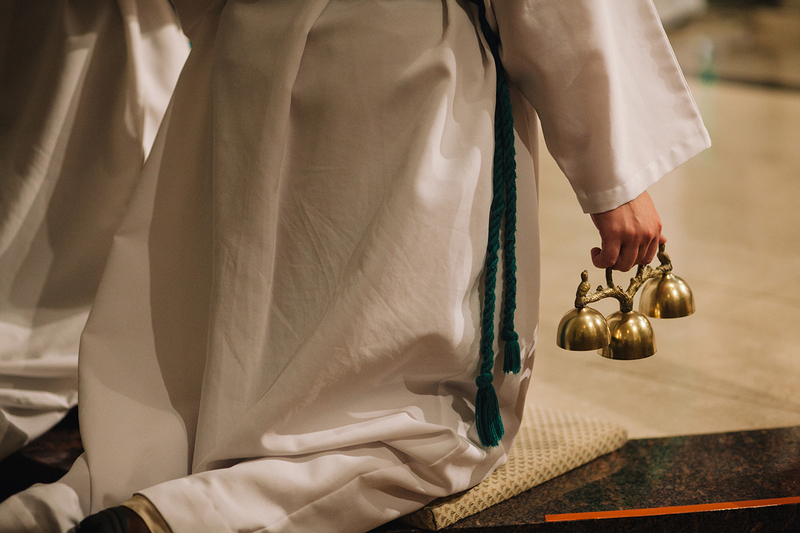 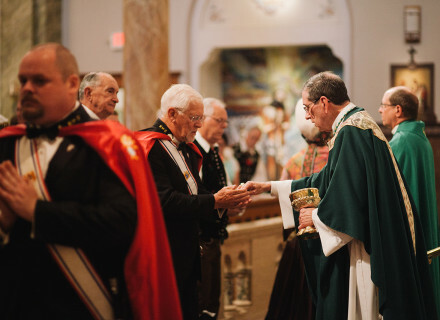 Procession into Mass, featuring veterans, parishioners in noša, servers and clergy. 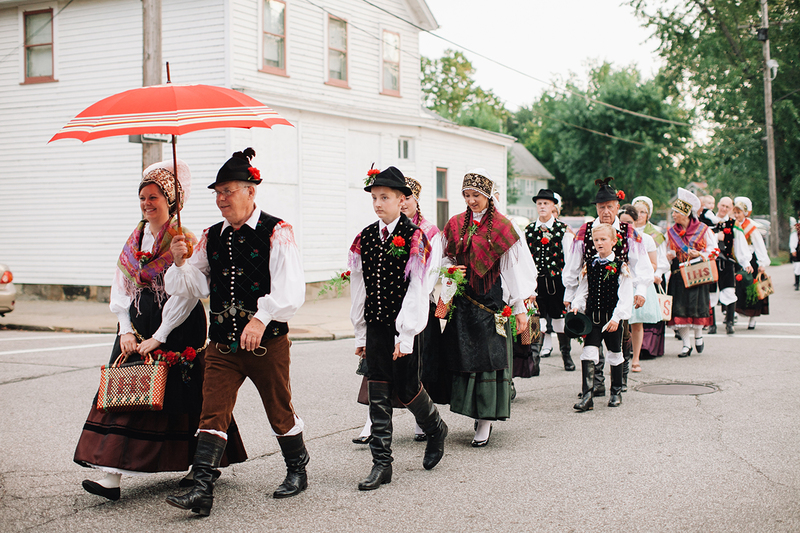 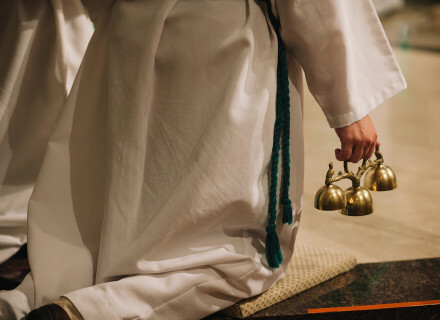 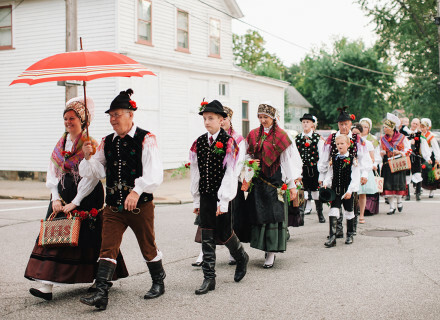 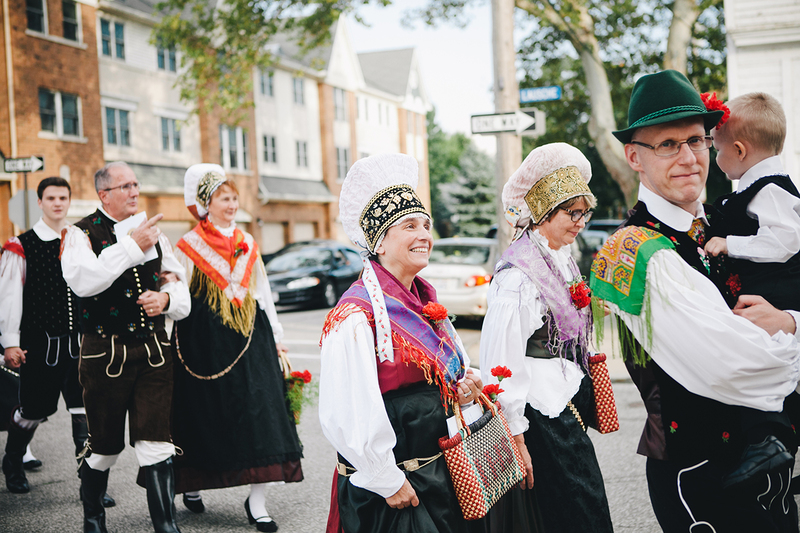 Procession into Mass, featuring parishioners in traditional Slovenian costume, noša. 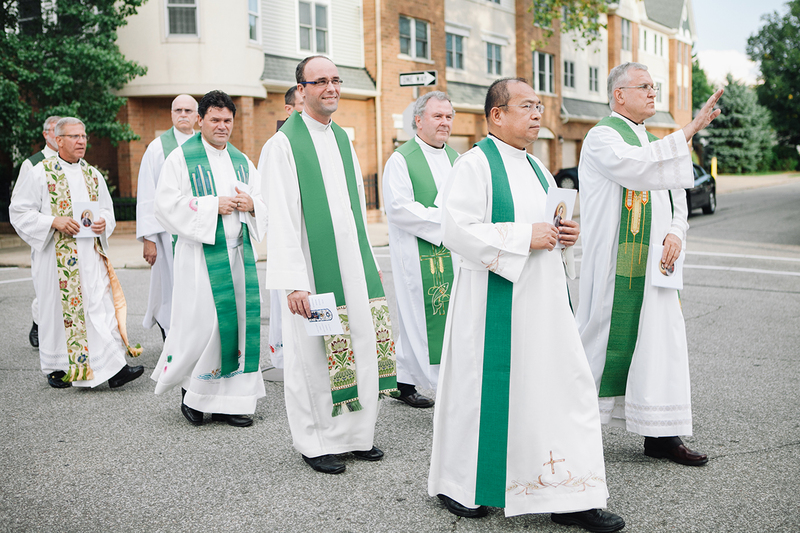 Clergy processing into Mass, outside St. Vitus Church. 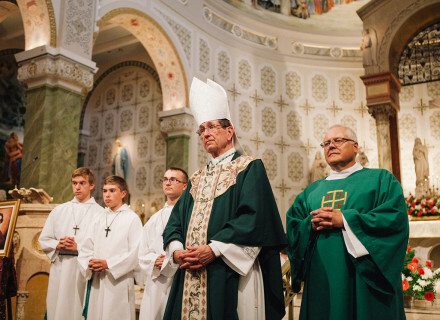 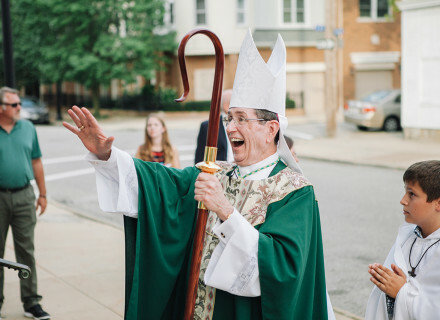 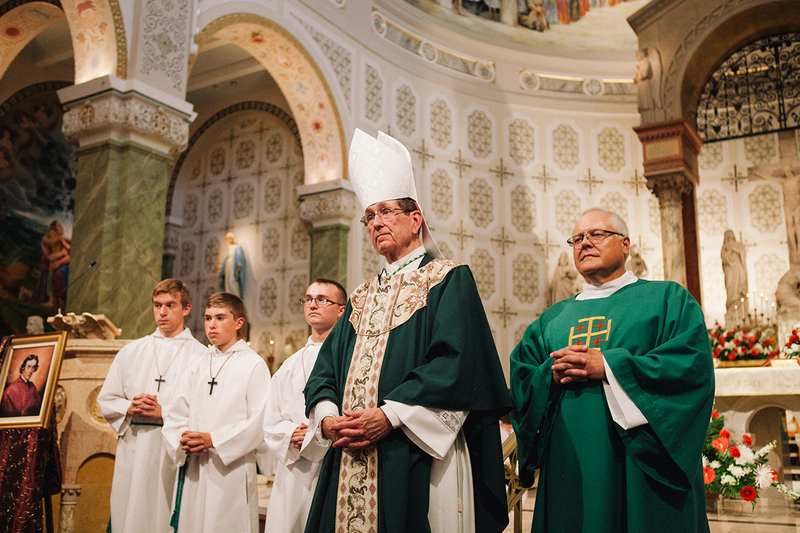 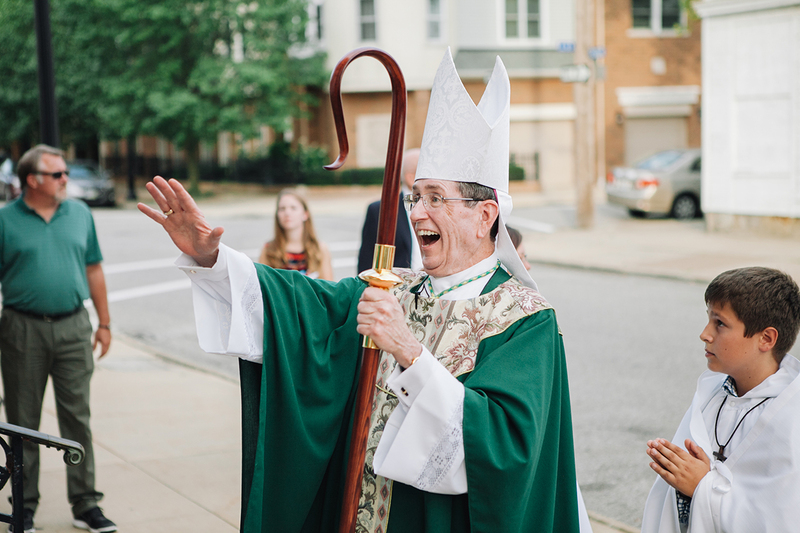 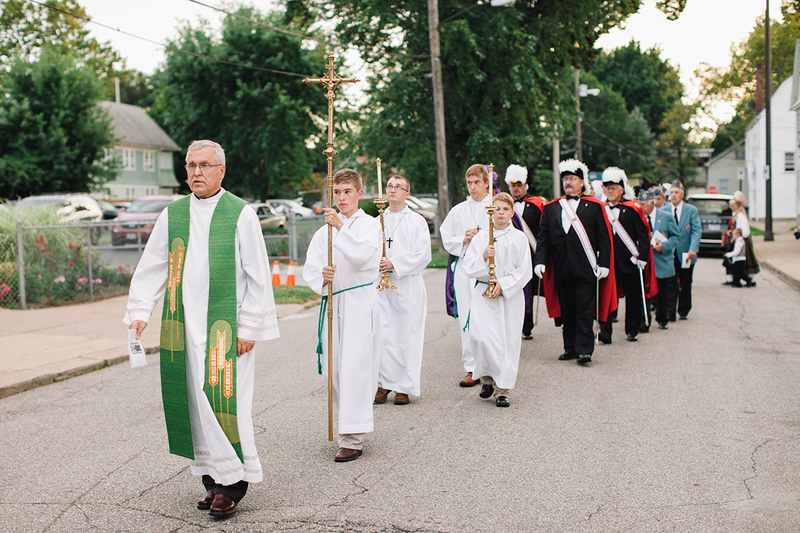 Bishop Lennon, during procession into Mass at St. Vitus Church. 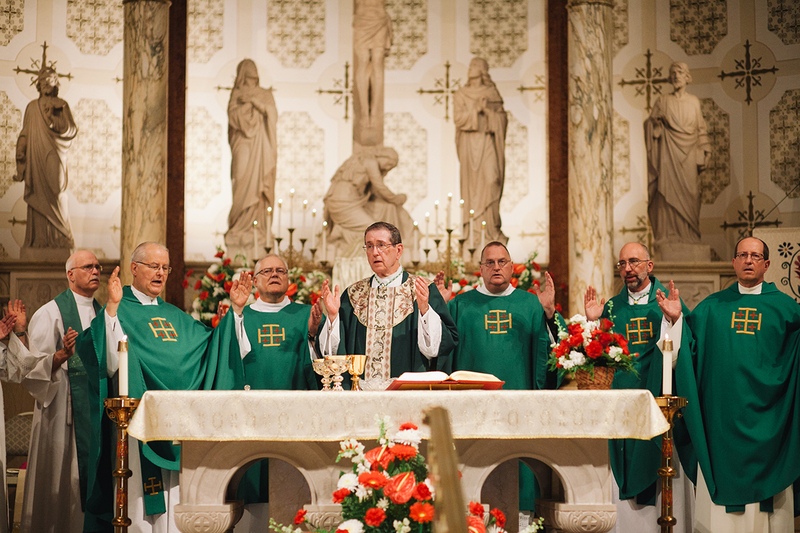 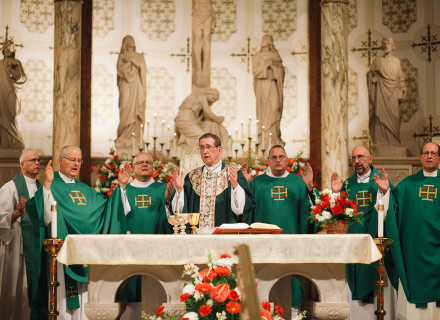 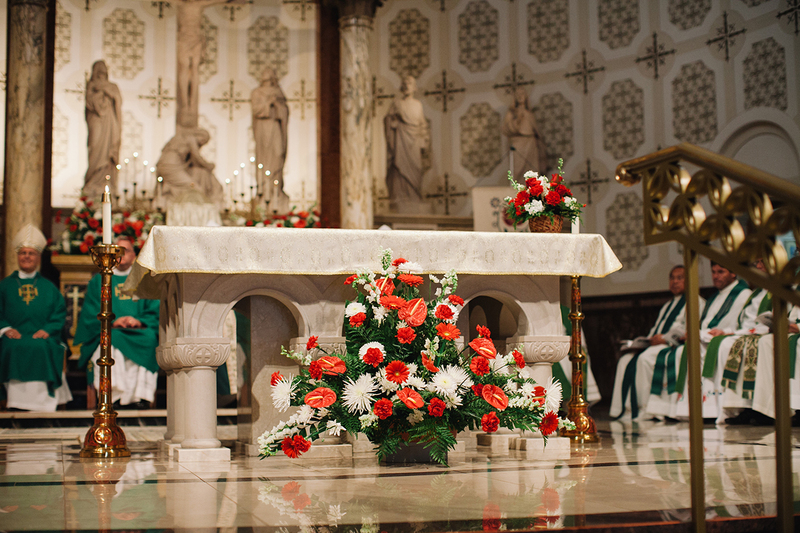 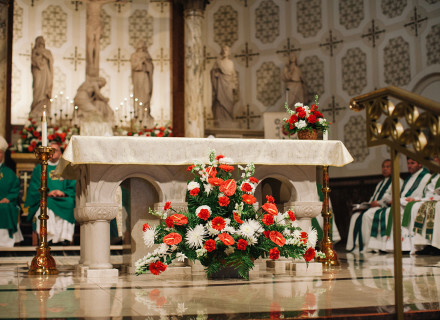 Floral arrangements adorning the altar during Baraga Days Mass. 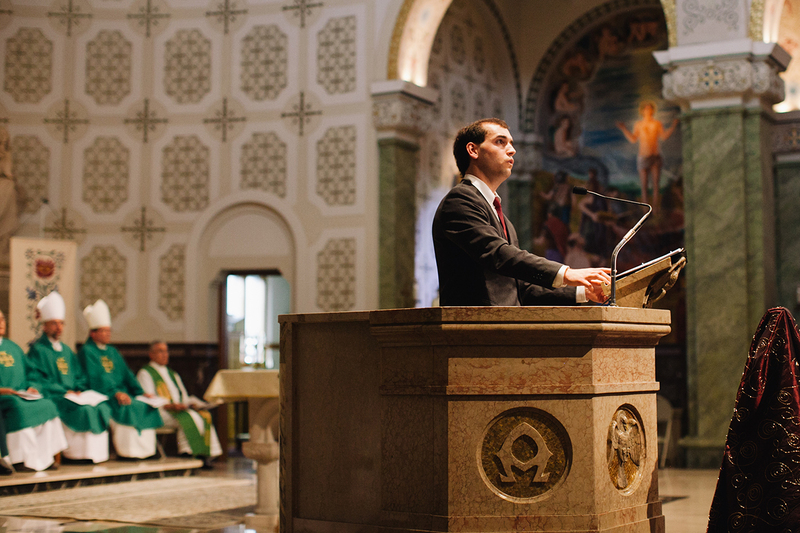 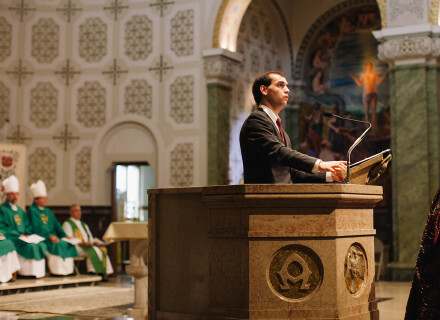 Johnny Srsen, leading the congregation as a lector. 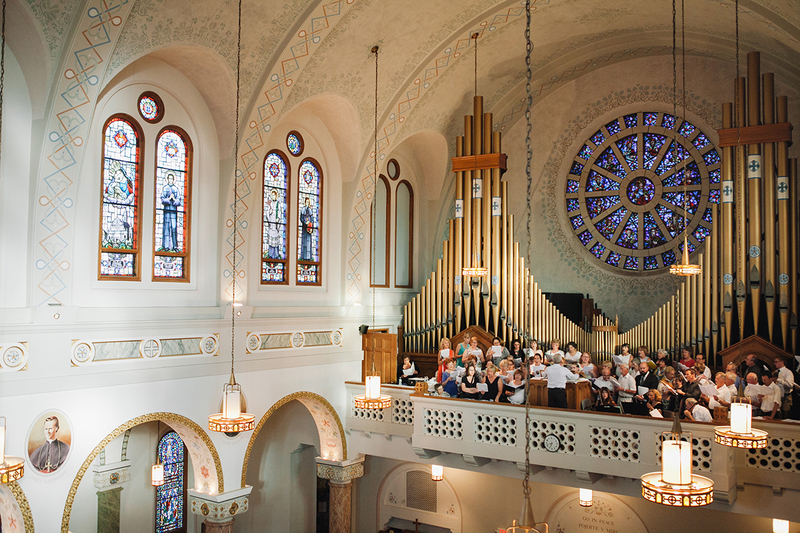 View from the east wing of St. Vitus Church. 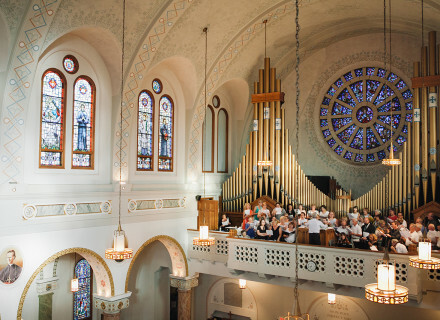 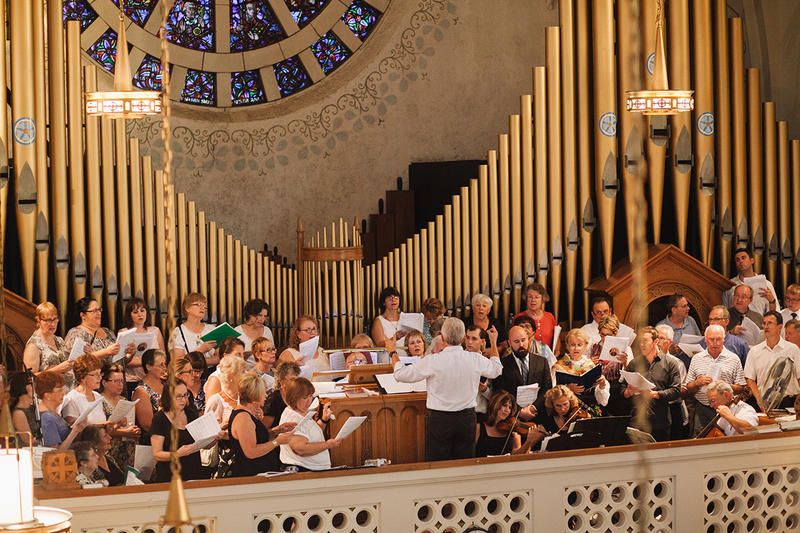 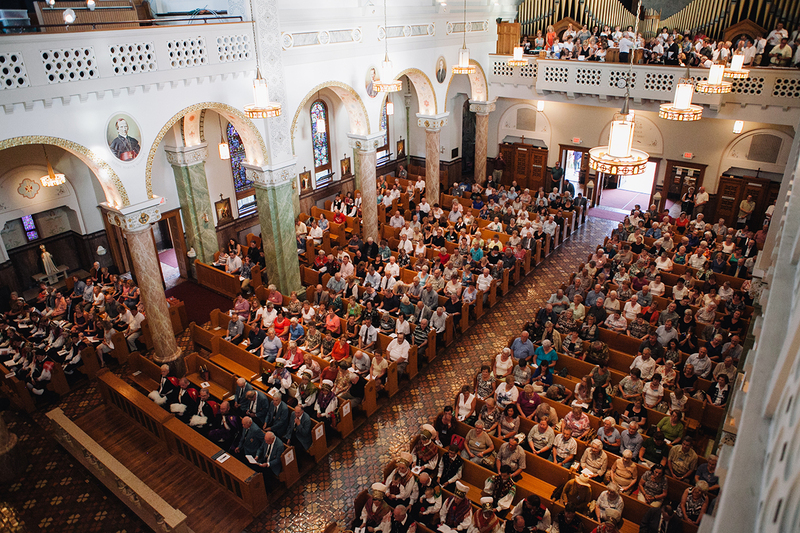 View from the west balcony of St. Vitus Church. 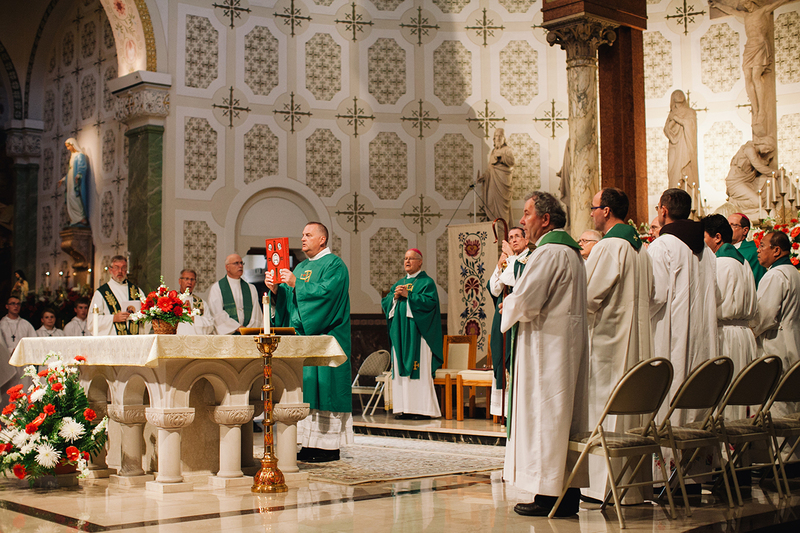 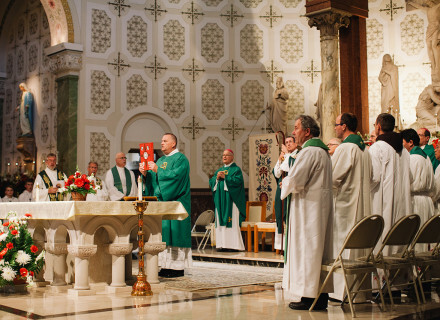 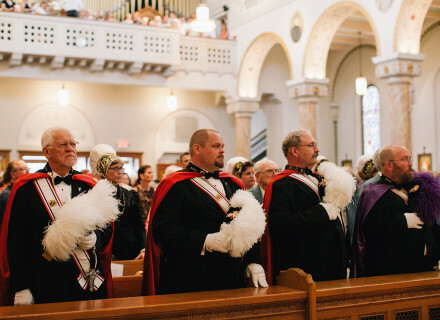 The Knights of Columbus, standing attention during Mass. 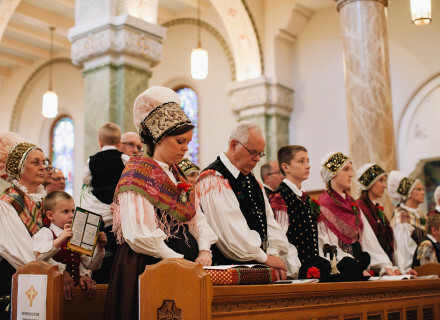 Parishioners wearing noša in prayer. 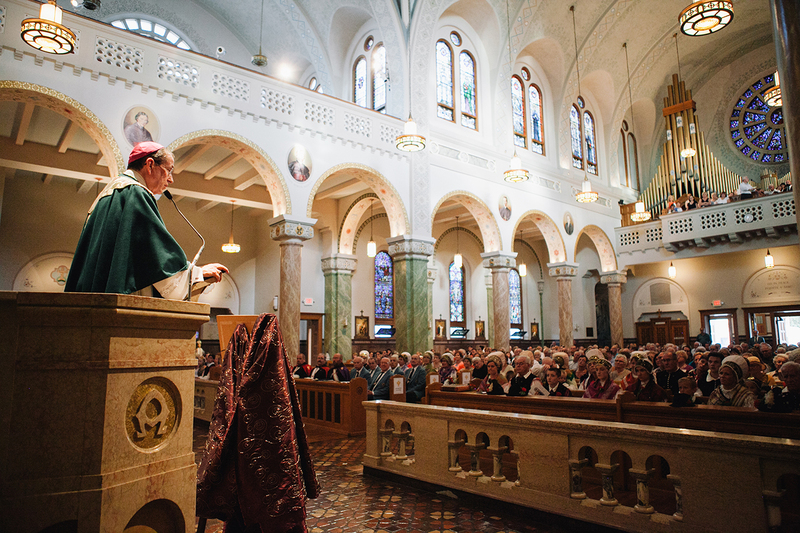 Bishop Lennon, speaking at Baraga Days Mass in St. Vitus Church. 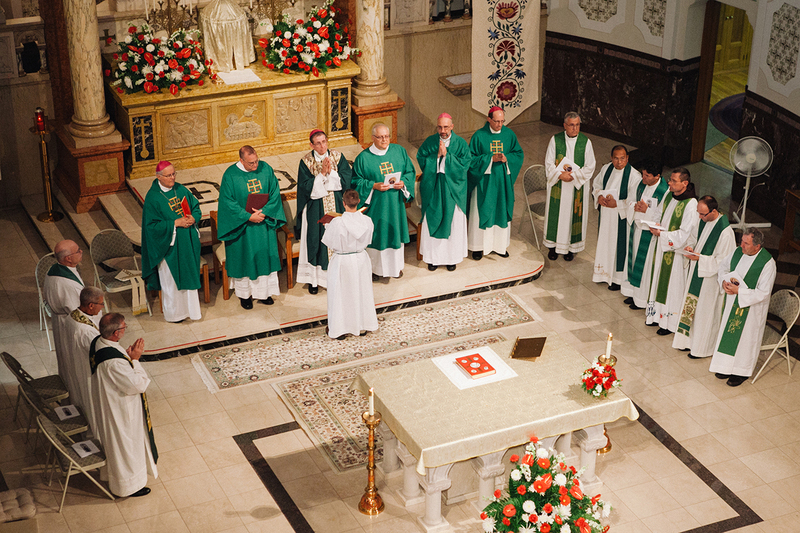 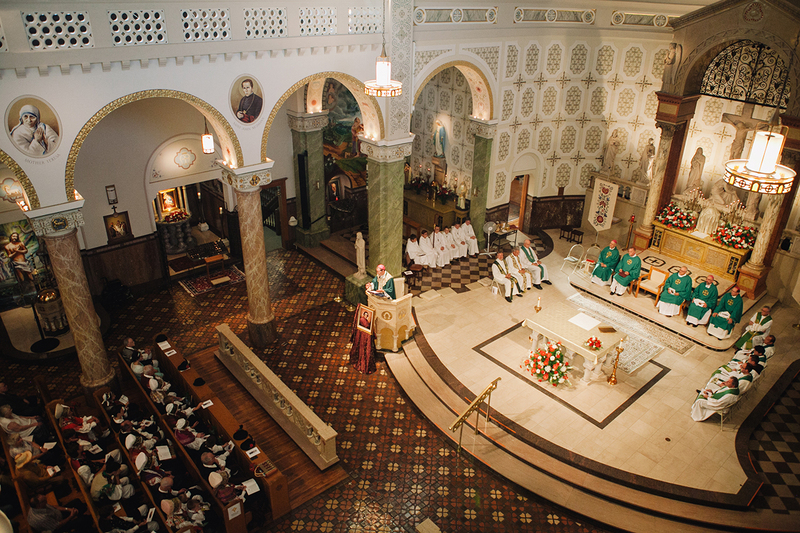 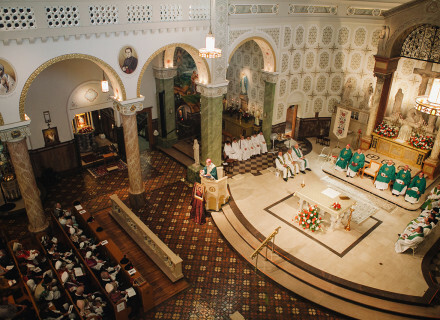 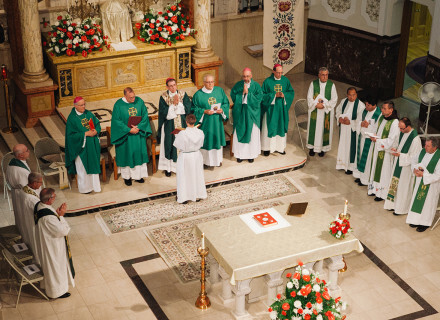 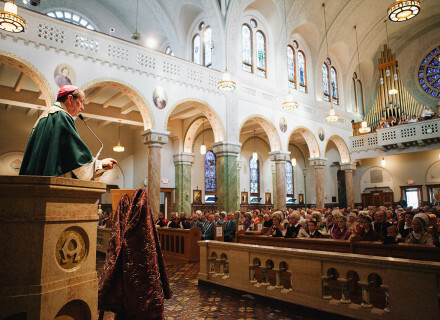 From the east balcony, as Bishop Lennon speaks to the congregation. 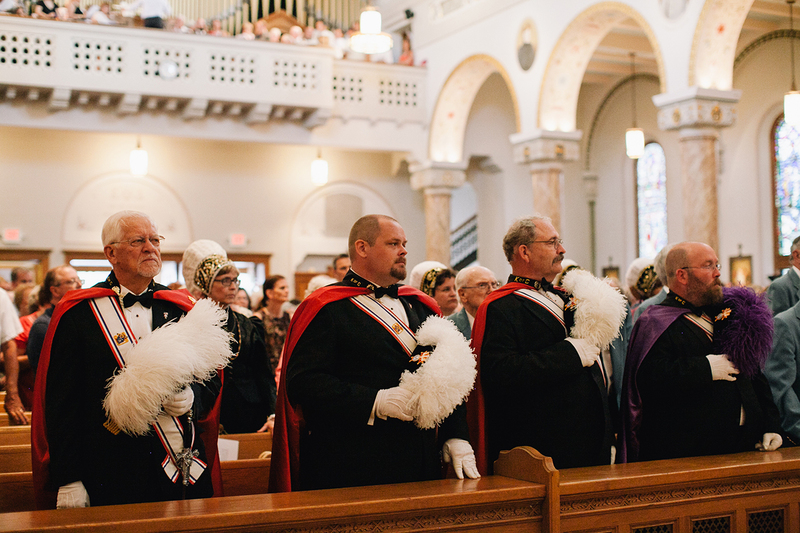 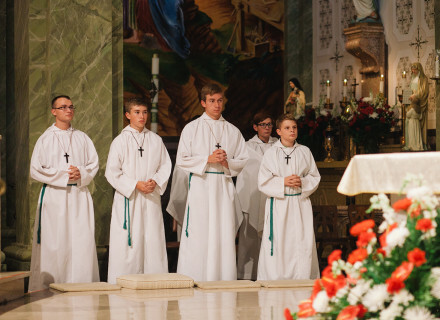 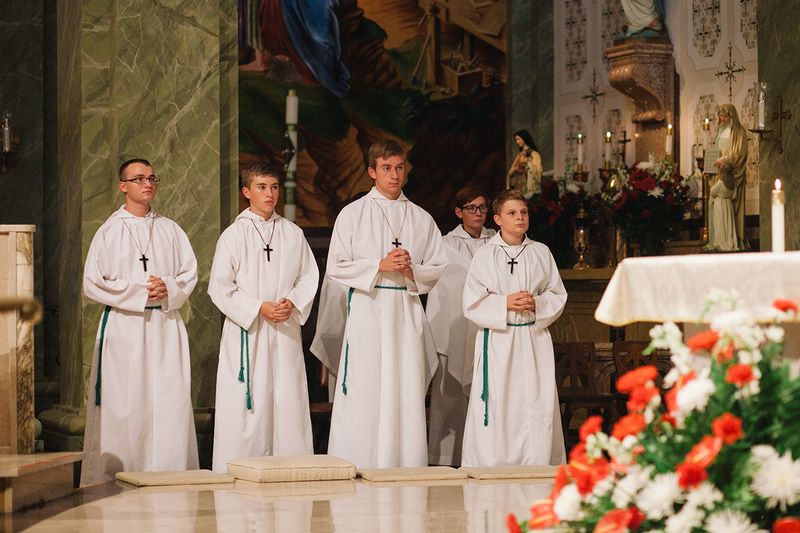 The many servers who assisted with Mass during Baraga Days at St. Vitus Church. 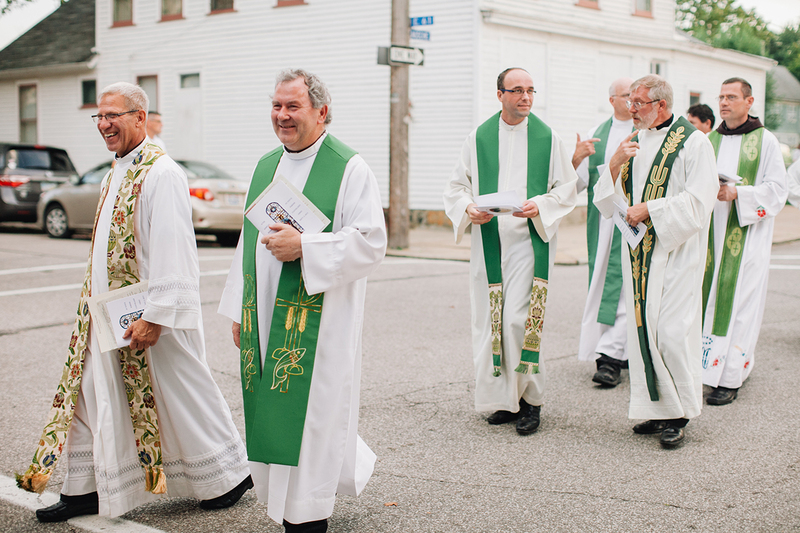 Bishop Lennon, clergy & servers awaiting the offering of gifts. 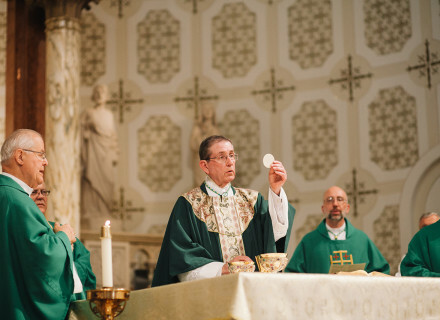 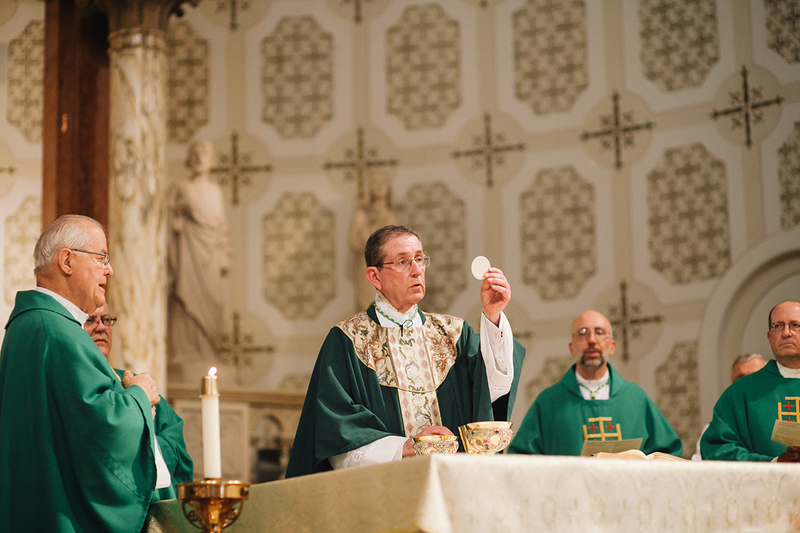 Bishop Lennon blessing the Eucharist before Communion. 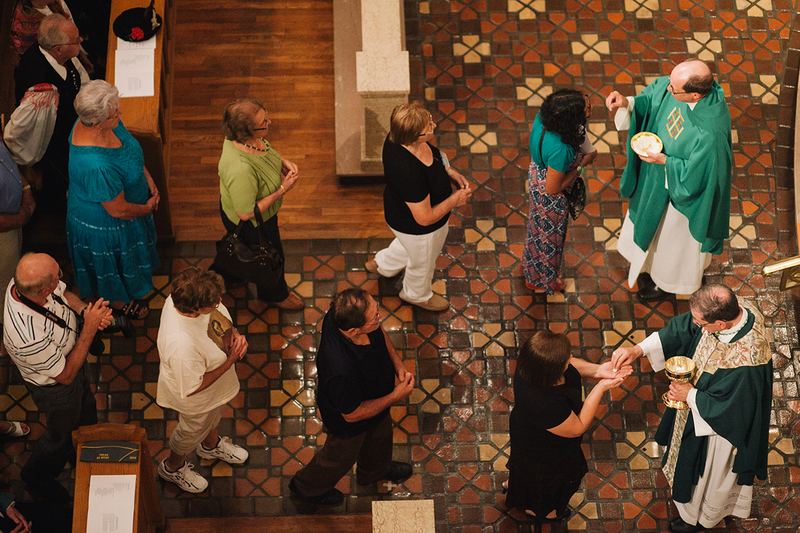 Parishioners lining up to receive Communion. 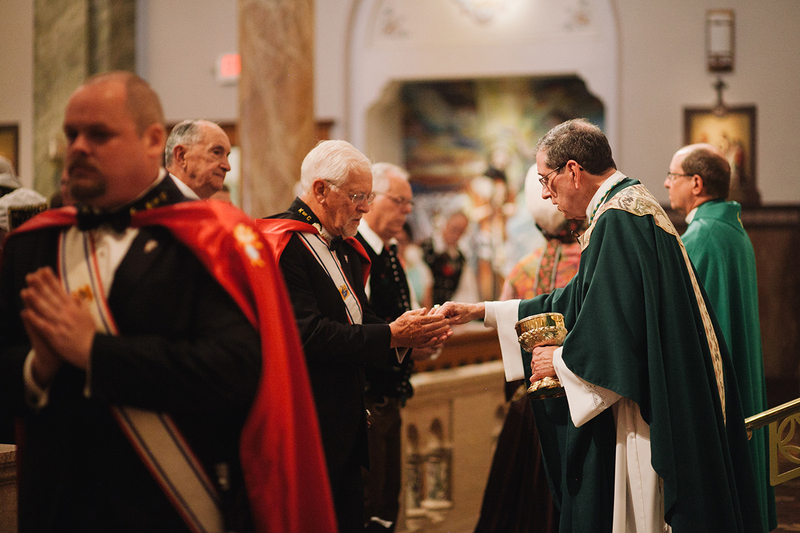 Communion being received by the Knights of Columbus. 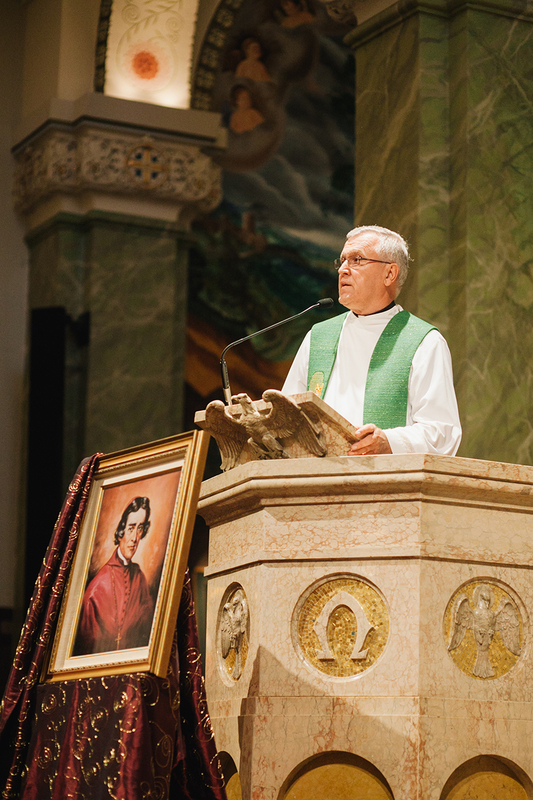 St. Vitus’ Pastor, Rev. 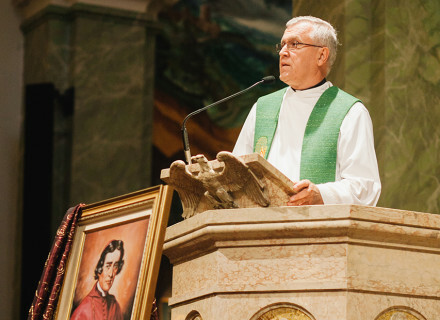 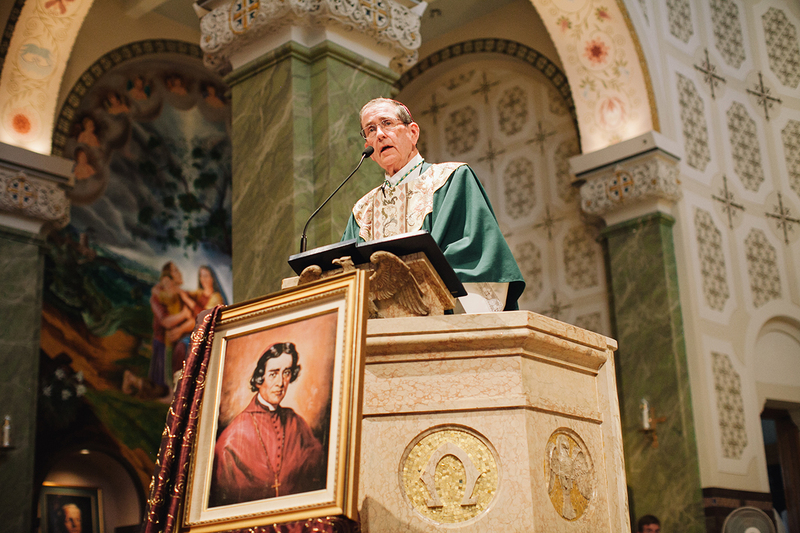 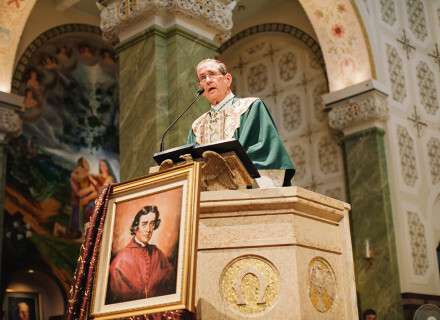 Joseph P. Božnar, speaking during Baraga Days Mass. 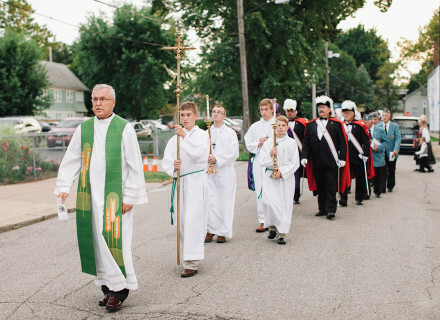 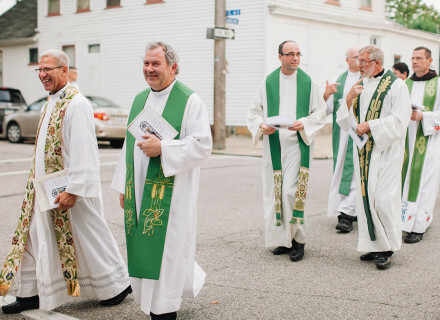 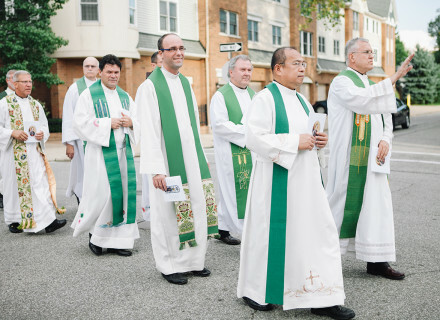 Clergy in procession out of Mass, outside St. Vitus Church. 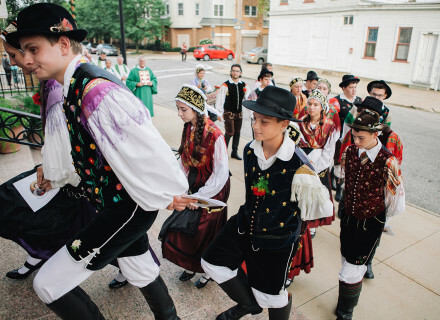 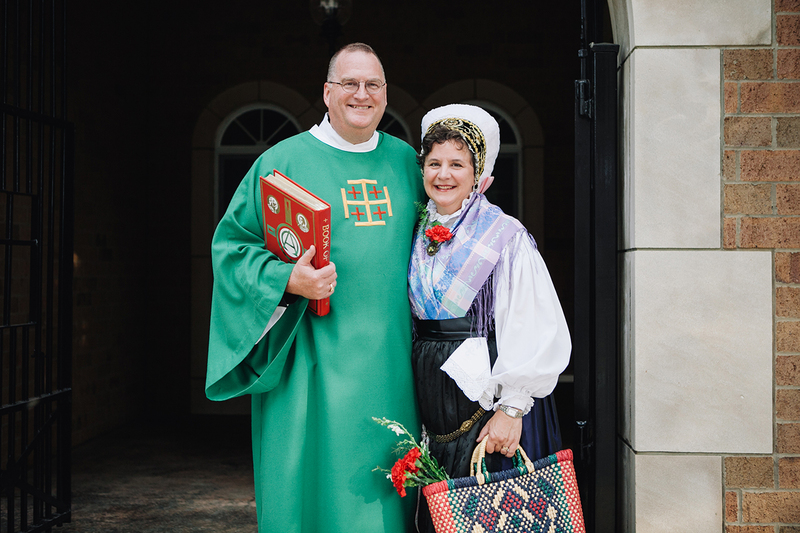 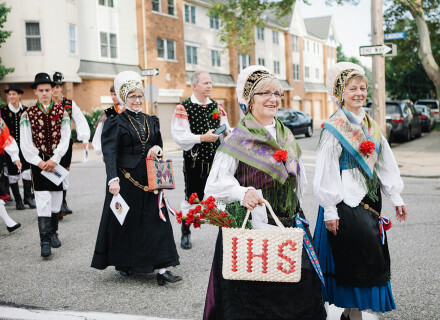 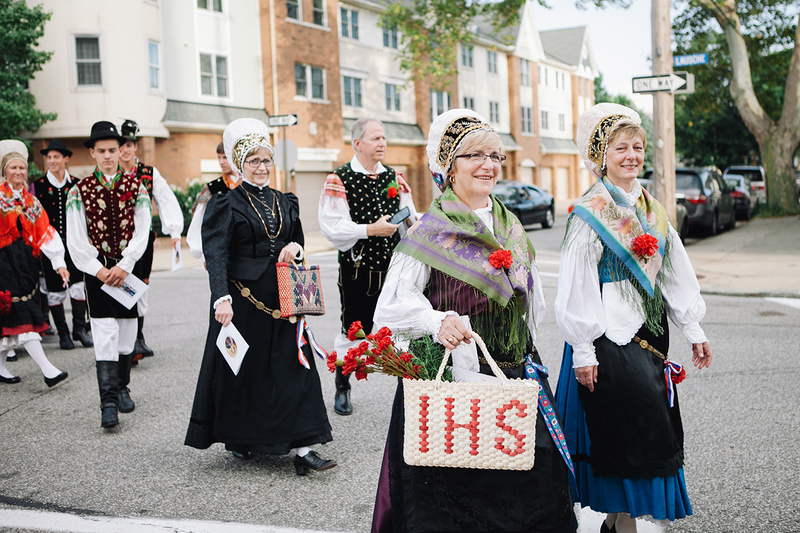 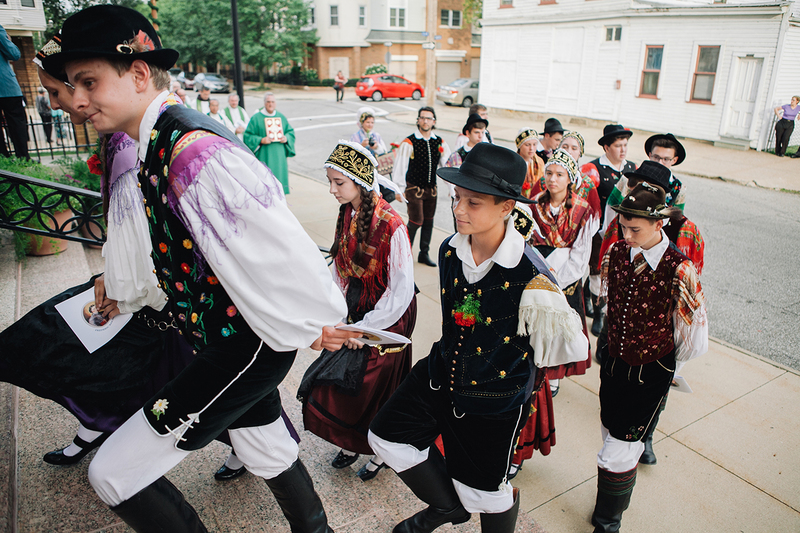 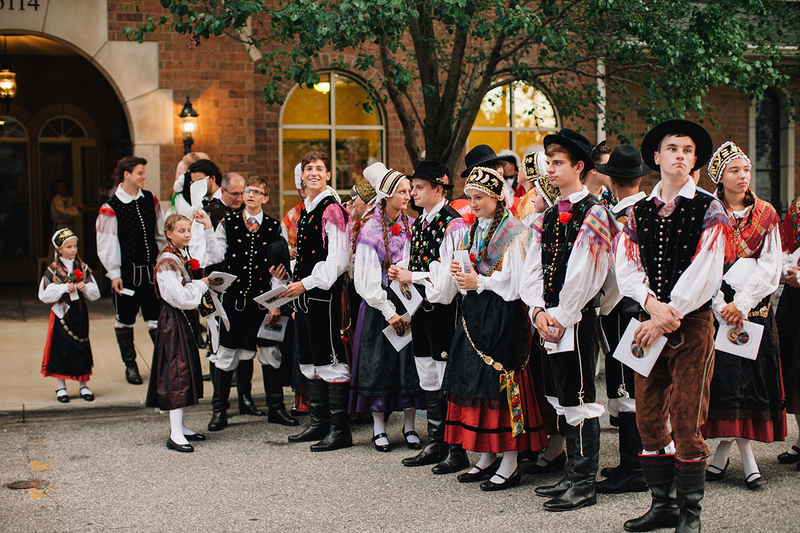 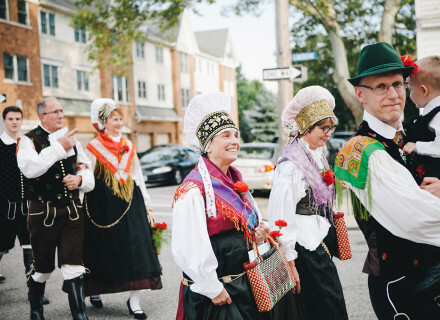 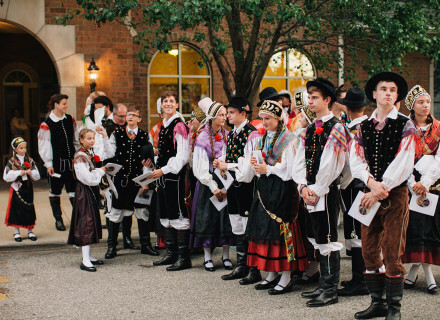 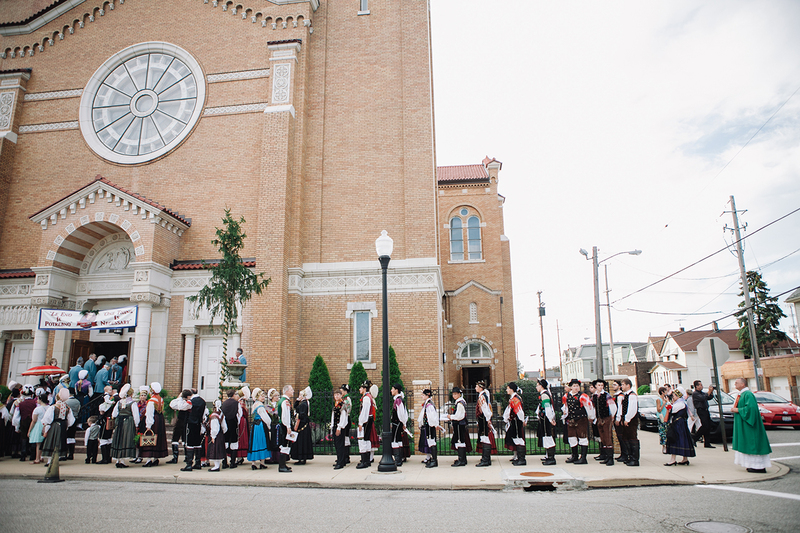 Procession after Mass, featuring parishioners in traditional Slovenian costume, noša. 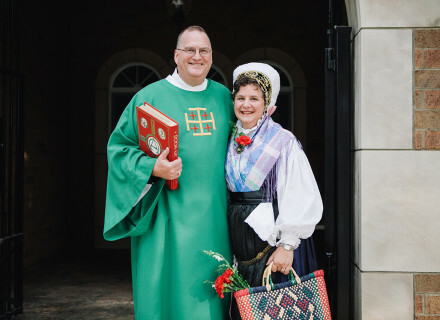 Member of the clergy meeting with a fellow parishioner in noša. 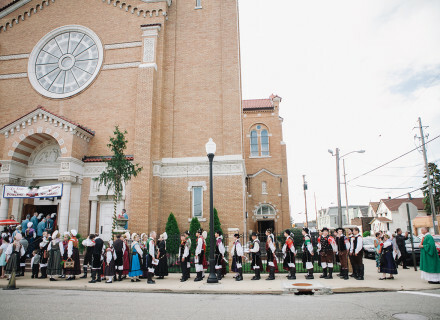 Parishioners, and members of Kres, congregating after Mass outside of St. Vitus Village. 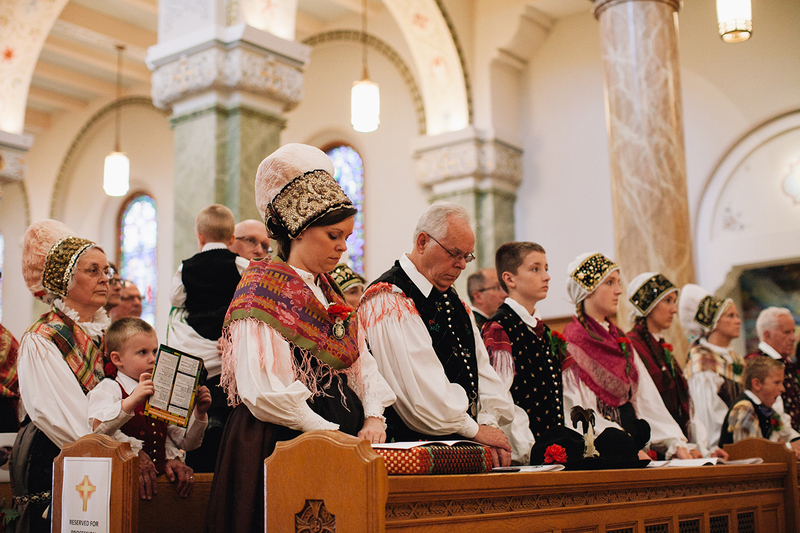 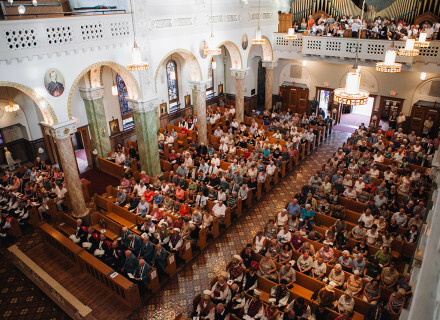 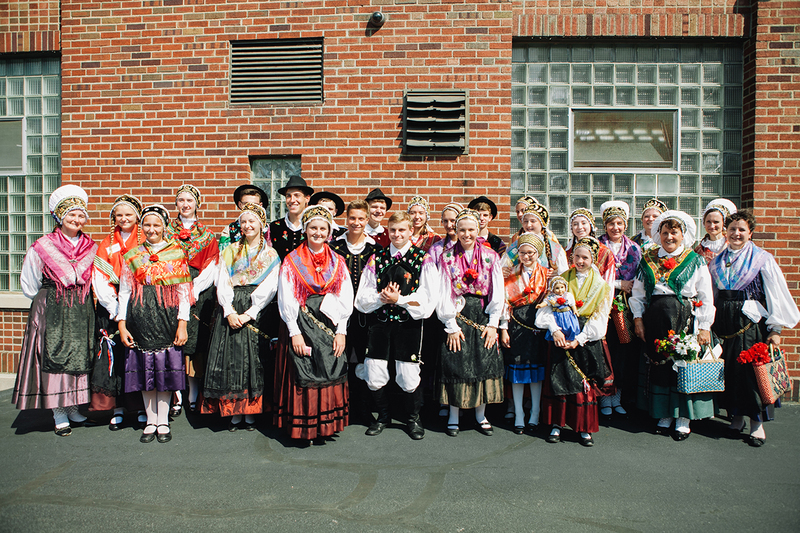 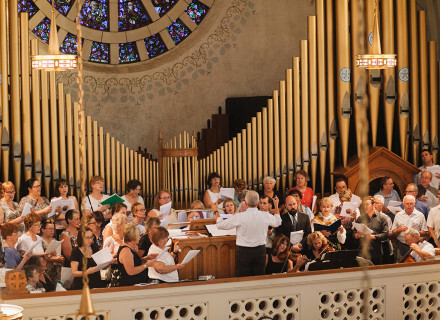 Parishioners in noša & members of Kres, gathering during 2015’s Baraga Days. 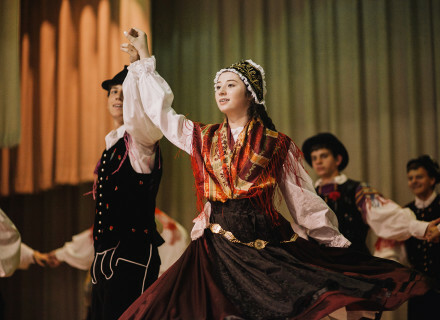 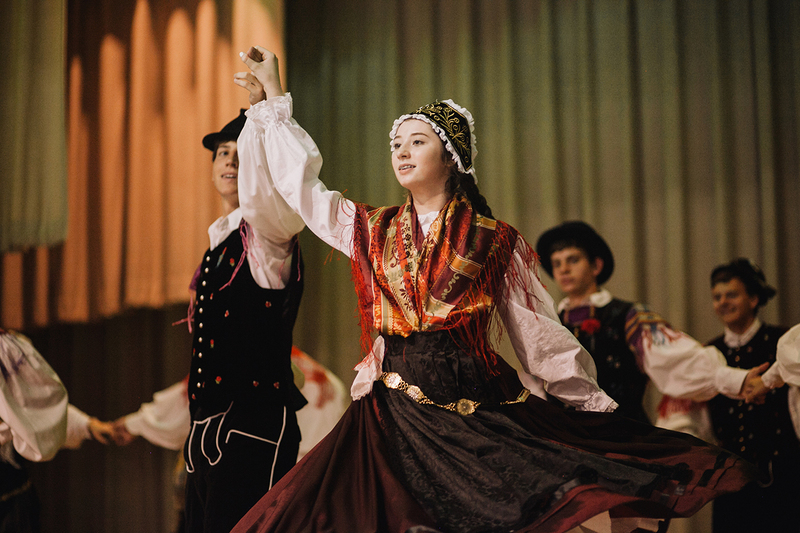 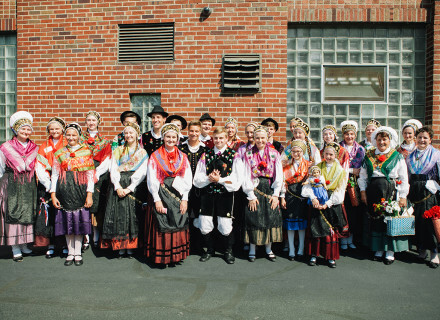 Kres, performing their dance routine after Mass on the St. Vitus Auditorium stage. 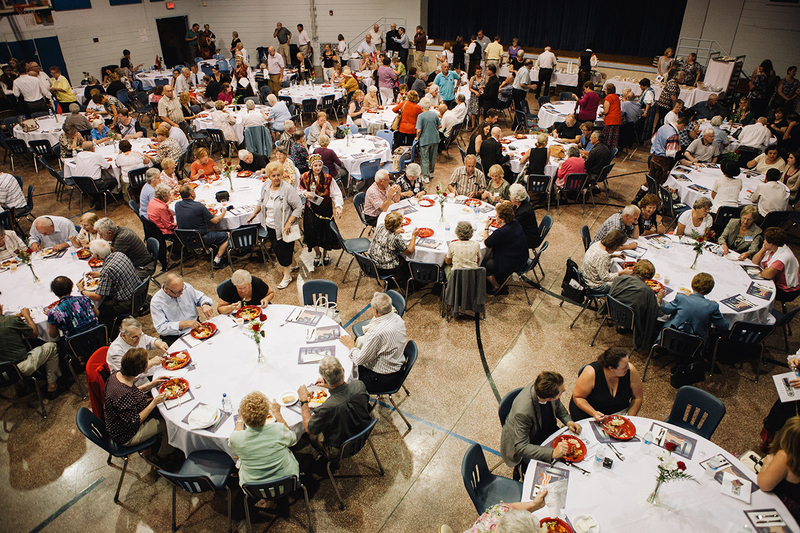 Parishioners join together for dinner after Mass in the St. Vitus Auditorium. 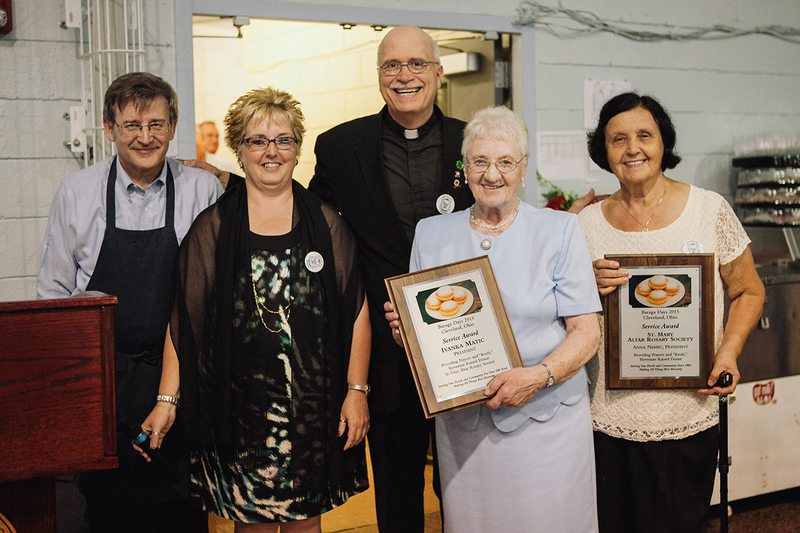 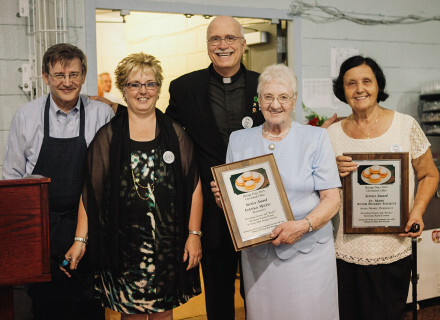 Ivanka Matic & Anna Nemec being honored with the Service Award, during the dinner celebration. 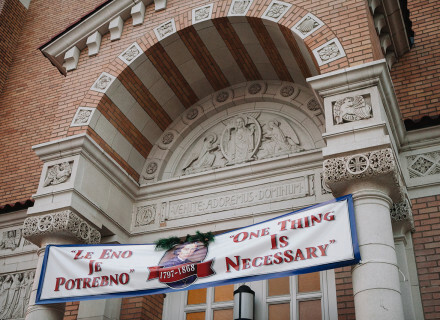 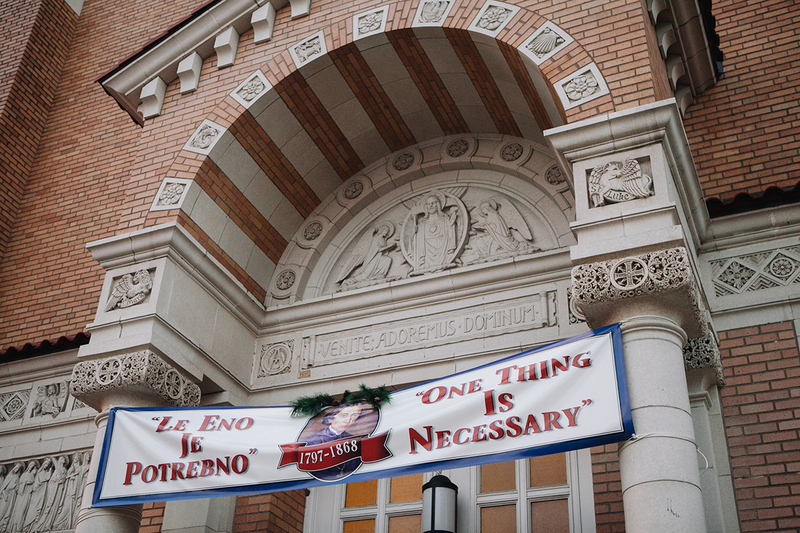 Baraga Days banner, hung along the main entrance-way of St. Vitus Church.